With each topic throughout the two days we'll be discussing the business of production and how everything we'll be doing as as we're doing it will apply to the business side of our industry. For many this will be the most important part of the workshop as you'll be learning on how important everything we do is to the services we offer our clients. The Chiaroscuro (Light and Dark) lighting technique was created by Renaissance artists in the 14th-15th centuries. Today is one of the most widely used lighting techniques in film and high end photography, although many have no clue that they are even using a 700 years old style of lighting. Often difficult and complicated to use, Nino has developed a system to make it easy to understand, easy to use with amazing results. The Fundamental of lighting, what each light does and why. How different types of lights can change the look of your interview/portrait and determine the mood. Challenging subjects, how to make everyone look good, regardless. Quick set-ups, how to get the best quality in the shortest time. There are dozens of different types of lights available on the markets today. There are distinctive difference on what each light can and cannot do. 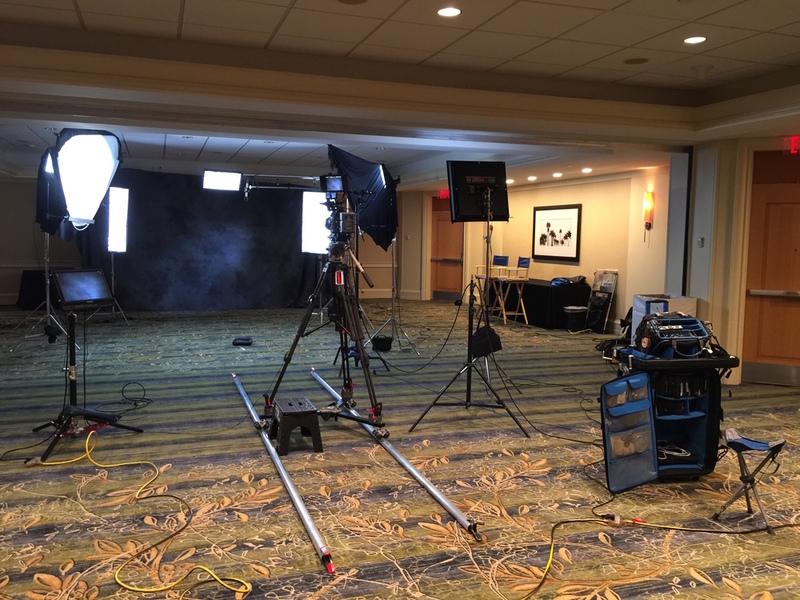 At the Lighting workshop attendees will be able to see and test just about every light and accessories that its available today, most professional dealers don't even carry the selection that Nino has put together in order to demonstrate what each light can do. These lights are the lights that Nino uses on his assignments. In January 2009 the producer for Monday Night football asked if I was interested in being the Director of Photography on this news show idea. Having worked with Jon Gruden for a number of years I was glad to do it but had no idea of the challenges that were waiting for me. The show had to be done in Gruden's hidden place. One would expect a top sport personality like Jon Gruden to be working out of some luxurious office/studio space, but not coach Gruden. His office is a small place in the back of an old professional building a few blocks from his home. Inside there are some VCRs, a large monitor and a dozen of bookcases filled with thousands of video tapes of different formats of pro football games dating back two decades and more. Every morning from 4:00 am to noon coach Gruden sits in the dark room reviewing plays and techniques of some of the best in the game. The show was an experiment, nothing like this "on location series" was done before. All these types of set ups are usually done in fancy and well equipped studio at ESPN in Bristol, CT. But coach Gruden wanted to do the show right where he worked. The ESPN "Gruden's QB Camp" series that takes place between Superbowl and the NFL Draft has become one of the most successful show on ESPN. For us however the show has been a constant challenge. I also decided to give it a better look by replacing the LED lights with Kino Flo fluorescents. For the set we now use two Kino Vista single, four BarFly 200 and one Kino 4x4. This in addition to 4 150W fresnels. All Kinos have honeycomb grids to prevent spills and allow better to better direct each light. This is an iPhone jpeg of what the room looked like before we started converting it into a temporary studio. This is what it looked like after we finished setting it up. Cam 4 was mounted on the grid for an occasional alternate view. All the equipment you see above fit inside this van. Mobility and reasonable speed of setting up is an important part of today productions. A good knowledge about grips is essential. We all would like to have plenty of space available to set-up our interviews, unfortunately many times all we have to work with are small and confined spaces. Creating separation in a small room is not easy. Taking advantage of confined spaces and still have quality results requires a new set of skills.